I'm close to having all the full frame updates completed, hopefully I can be done by this weekend, so check back. In the mean time, check out the four updated lens reviews below. I've been updating the lens price guide page regularly, and have noticed recent substantial price reductions from sellers, mostly from eBay. If you have some extra cash, now would be a good time to add to your lens collection. I can't believe another year has gone down the drain--well that didn't sound right? I have a feeling by this time next year I'll have all the Sony and Minolta lenses tested that interest me, (some located on the coming soon page) and I'll be moving on to more useful and interesting material for the average photographer. I have a couple of full frame updates, and it looks like I may get my hands on the Sigma 12-24mm lens within the next few days, (hopefully, someone won't read this entry today or tomorrow), and I should have a review by the first part of January. I re-shot the 70mm full frame corner crops for the Sony 70-200mm F/2.8, because I thought I may have messed up, but the third re-shoot looked the same as the other two, so I actually did them correctly after all, and posted them in addition to adding a couple of extra (crops) stops to show if there's any point in stopping down past F/5.6 for gaining more contrast and sharpness. I hope everyone has a nice Christmas, and gets an A900, with a couple of good lenses!! If so, check back often for updates. Speaking of which, I've added full frame results for the lenses listed below, along with additional crops and text to the main reviews. For all the people that have donated over the last month, thanks very much. I haven't been able to reply to some of you using the email address from the payment notification message for some reason, (failed delivery), but don't think the donation goes unnoticed!! If you'd like to send a separate message, I'd be happy to hear from you. In other news; I've updated the following lenses with full frame results, and added additional crops and text to the main reviews. Next I'll be doing more full frame updates, most likely the very popular Minolta AF 70-210 F/4, and the Sony 70-300mm F/4.5-5.6. In fact, I'll probably end up doing all the telephoto lenses in the next week or so. Check back in a couple of days for information on the next lens review. The reviews and updates continue to roll out, this time I have the Sony 20mm F/2.8 ready for your scrutiny. I'm not sure this super-wide angle lens is for everyone, especially APS-C users, so go to the bottom of the review page and read the final thoughts. One tidbit; this lens is very sharp in the centers at F/2.8, in fact, if it weren't for a tiny bit of veiling haze, it would be indistinguishable from the F/4-8 images. When I did my normal stamp test shot, I could've used F/2.8, which would've been a first for that shot using the maximum aperture. I ended up using F/4 because it had the best contrast. Check 'em out if you're thinking of buying one, or haven't visited the page recently. 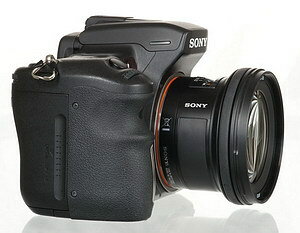 I'm working on the Sony 20mm F/2.8 review and should have it ready by the weekend. Check out the finale of the fast mid-range zoom reviews. 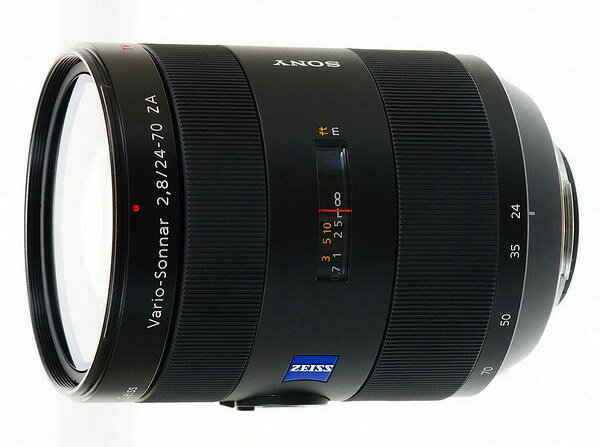 The Sony 24-70mm F/2.8 SSM Carl Zeiss turned in a great performance. If you use your camera everyday for work, the Sony would be a great choice, amateurs wanting a fast zoom of this focal length may benefit by sticking with the very good Minolta AF 28-70mm F/2.8 G, most people wouldn't be able to tell the difference by looking at the images. Sharpness differences are very minimal and the two lenses perform very much alike even though the designs are totally different.